I'm so excited to announce that Stampin' Up! 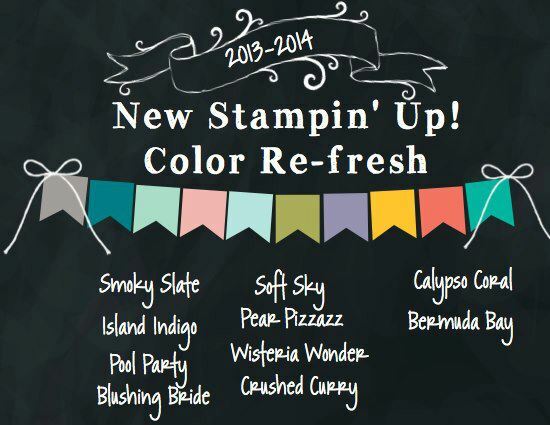 is doing a Colour Refresh for the 2013-2014 Catalog! What does that mean? It means we are keeping up with the times and popular colours. You'll see some favourite colours leave; but, they will be replaced with other favourites! And, besides, who doesn't like to play with new colours?